The stock exchanges in New York are mostly closed Friday, with reasonably limited price movements. 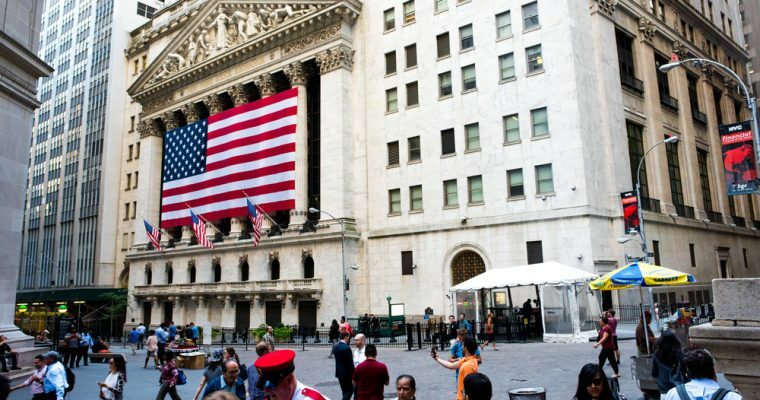 The attention of investors on Wall Street went to the trade talks between the United States and China. At the business front, among others Deere, Applied Materials and Campbell Soup with figures. The Dow-Jones index recorded almost unchanged at 24.715.09 points at the end. The broad-based S & P 500 fell 0.3 percent to 2712.98 points. The technology exchange Nasdaq lost 0.4 percent to 7354.34 points, posts The 99 News. A Chinese delegation is holding talks in Washington to reduce the trade strains between the two countries. China reportedly promised to reduce the trade surplus with the US, but Beijing denies this gesture. China did, however, make a guideline by suspending an investigation into alleged US price dumping. The manufacturer of agricultural machinery Deere advanced 5.8 percent, after raising the expectations for the whole year for the second time in a short time. Food company Campbell Soup plummeted 12.4 percent. A loss was made, a profit alert issued and the top woman of the company immediately resigned. It is the most substantial price trap in decades for Campbell. Supplier to the chip industry Applied Materials recorded record results, but the outlook for the current quarter disappointed. The price fell to more than 8 percent. Chipconcern Intel came under pressure due to the adverse reports about Applied Materials and delivered 2.4 percent. The Nordstrom department store chain also had a terrible day on the stock market with a price dip of almost 11 percent after disappointing results. PayPal’s online payment processor, PayPal, went up 2 percent after announcing its acquisition of the Swedish iZettle payment start-up for $ 2.2 billion. It is the largest acquisition ever for PayPal. Google’s mother Alphabet was lowered 1.1 percent. On Sunday, in a program on channel CBS, attention is paid to Google, where among other things, the power position of the internet giant will be discussed. The euro was worth $ 1,1767, just as at the end of European trade. The price of a barrel of American oil fell 0.3 percent to $ 71.30, and Brentolie went down 0.9 percent to $ 78.62 per barrel.